May is National Celiac Awareness Month and I teamed up with Udi’s Gluten Free to help raise awareness of Celiac Disease. 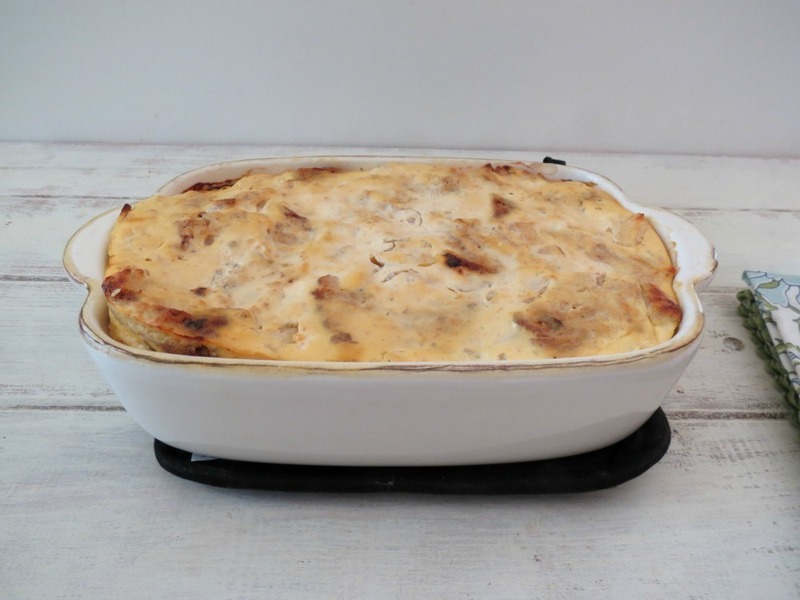 As you know from my recipes, I am not allergic to gluten, but I do try to make some recipes that are gluten-free for those who may have Celiac Disease. If you don’t know Celiac Disease is an autoimmune disorder where gluten triggers the immune system to attack the lining of the small intestine. Over time, Celiac Disease can cause malabsorption, leading to a wide range of health problems such as iron and mineral deficiencies, osteoporosis, liver disease, infertility, neurological disorders, and even some forms of cancer. So what is Gluten anyway? Gluten is the protein found in wheat, barley, rye and related wheat species such as spelt and kamut. It helps baked goods keep their form and chewy texture and is also added to other food items more and more, both for consistency and taste purposes. Gluten is found in a high range of foods besides baked goods and breads, it’s also in foods like pickles, beans, candy, marinades and more. I’m not going to give you the whole speech about Gluten and Celiac Disease, because to be honest, I don’t know too much about it and I don’t want to give the wrong information. It’s actually a disease that I have been learning about when I started blogging and now I am discovering a lot of people I know have it. If you know someone or you may think you have Celiac Disease and want to get checked, I recommend going to Udi’s website and checking out the links they have provided. 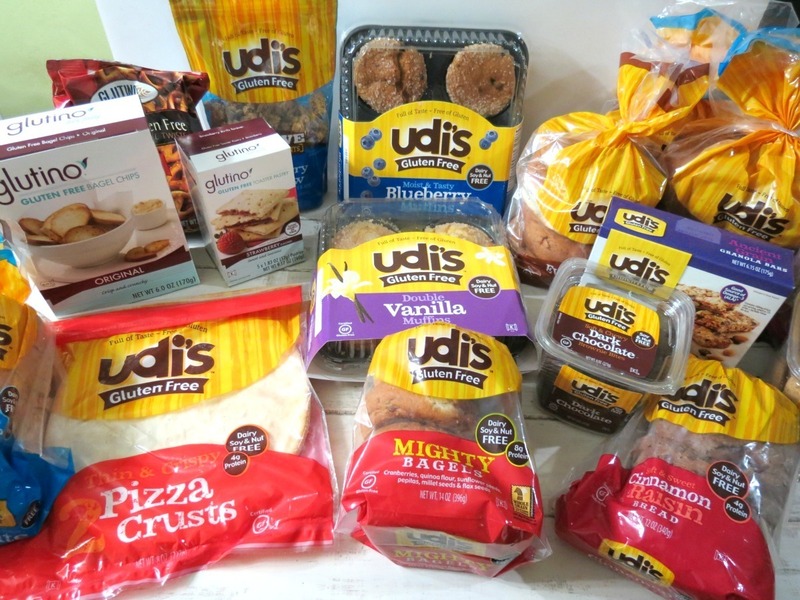 For teaming up with Udi’s Gluten Free, they sent me a kaboodle of goodies to try out. I couldn’t believe my eyes when I received my package. The package ranged anywhere from hot dog rolls, to poptarts to muffins. My Husbands eyes lit up when he saw the muffins. He took them to work, and I never got one. He said they were good. I was pretty proud that my Husband ate a gluten-free product. You have to know if it doesn’t have all-purpose flour in it, he turns his nose up to it. Also in my package I received a loaf of Cinnamon Rains Bread and I LOVE cinnamon raisin bread, it’s my favorite. I never buy it though, because I know I will eat the whole loaf. So with my loaf I received, I made a Gluten Free Cinnamon and Apples Baked French Toast. This has been on my bucket list forever!! I don’t know why I waited to so long?? First thing I did was cut up my Udi’s Gluten Free Cinnamon and Raisin Bread and placed it in my little baking dish. Then I tossed some apples in cinnamon and stevia and placed it in with the bread. Don’t mind the pictures, I took these at 11 at night. I checked all of my ingredients to make sure it is Gluten-free before making the batter. 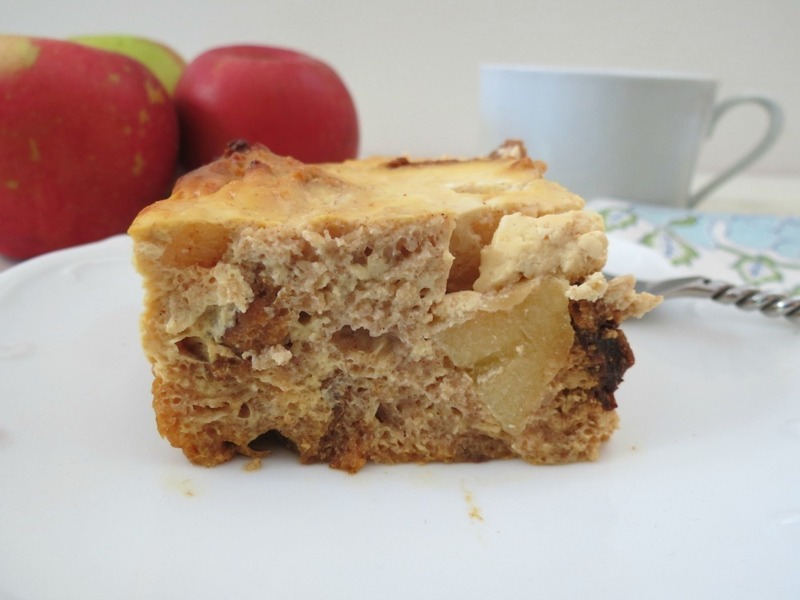 It contains egg substitute, greek yogurt, coconut milk and vanilla extract. 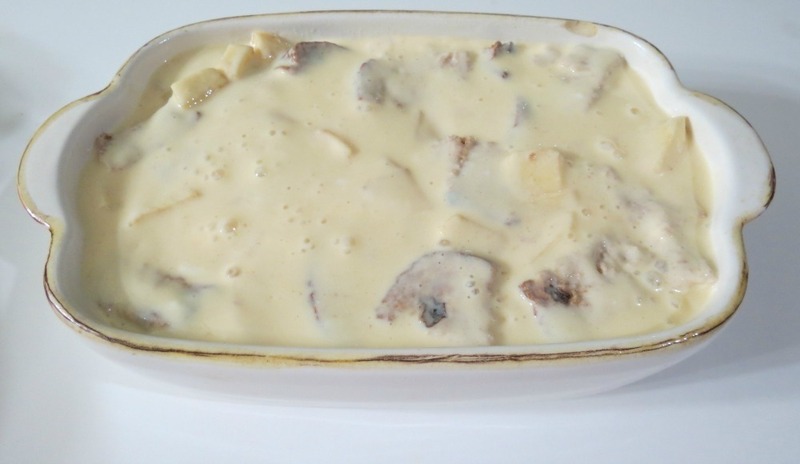 I poured my batter on top of my bread and apple mixture and placed it in the refrigerator overnight. I was so excited in the morning to make my Baked French Toast, I couldn’t wait!!! I made this on Sunday morning and this was the first time my family and I sat down together for a meal. Little Jenny was home and so was my Husband. This just made me so happy!! When I took my bread mixture out of the refrigerator it was a little frozen. I guess the fridge is set to cold. I baked my french toast in the oven for about 50 minutes, but because it was partially frozen the timing probably took a little longer. When I opened the oven door the bread was exploding! I love that!! Here it is fresh out of the oven! 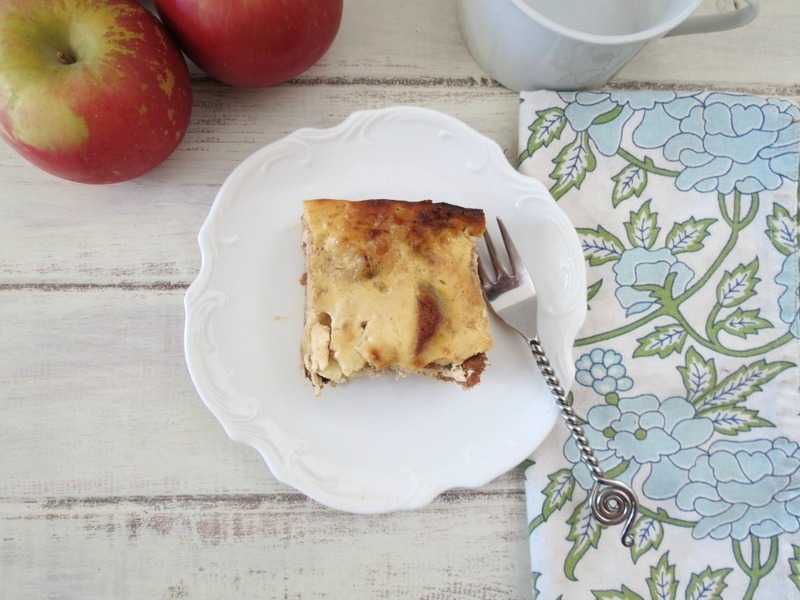 The baked french toast may not look like a lot, when you make it, but it is very filling. I cut up some large slices and gave it to Little Jenny and my Husband for breakfast. Jenny loved it!! She told me it didn’t need any maple syrup because it was perfect the way it was. My Husband of course used maple syrup. They both loved it! I took a slice myself, and oh my gosh!!! The cinnamon and apple combination in the bread is amazing! Every bite you take you get a chunk of apple and a taste of cinnamon and because the bread had raisins in it, it made it all that much better. The bread was also soft, but yet firm to hold together! I couldn’t be happier with this recipe if I tried! I also love that it’s under 200 calories and full of protein!! This is a win, win recipe and I was requested to make it again. My Husband actually preferred it over his eggs! Wow! We had one slice left and Little Jenny is taking it to her boyfriend’s house, she wanted him to try it too! 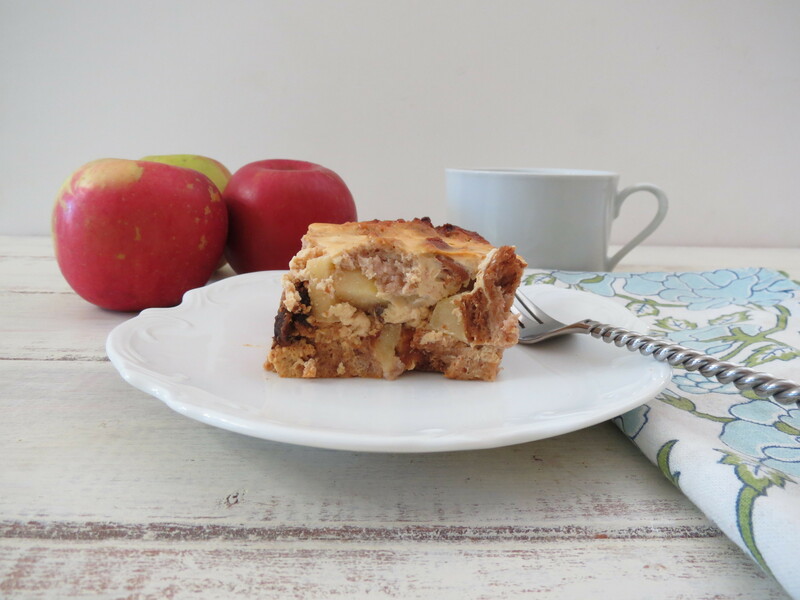 Gluten free, healthy baked french toast made with yogurt and coconut and chock full of apples and cinnamon. Spray about 6 x 4 baking dish with cooking spray; and top with bread. In a bowl, add your apples, cinnamon and 1 pkt. stevia; mix well and add to the bread crumbs (I also mixed some in between the bread. In a bowl, add egg substitute, coconut milk, yogurt, salt, 2 pkt.s stevia and vanilla extract. 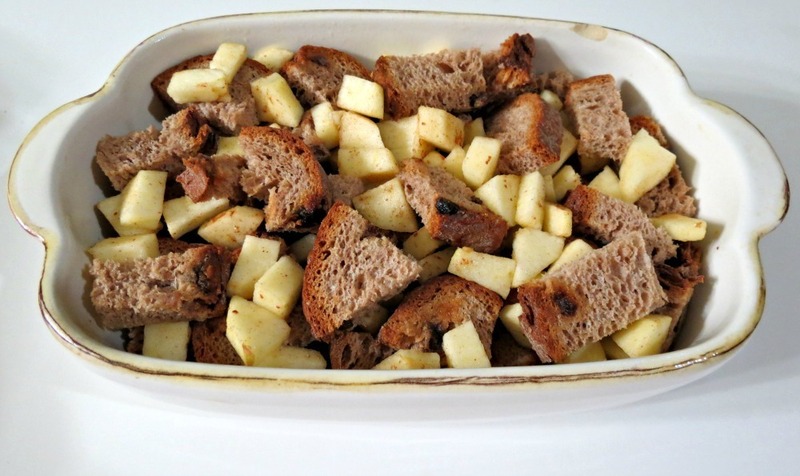 Mix well and pour over the top of your bread and apple mixture. Push the bread down with a spoon to make sure it gets covered with mixture. Cover and refrigerate overnight. Take bread mixture out of the refrigerator and set a side. Preheat oven to 400 degrees, bake french toast for 30 - 50 minutes. (Mine froze in the refrigerator, so my cooking time maybe off, it took me 50 minutes, but 35 -40 min. should be enough) Once the center is firm, the french toast bake is done. If the top starts to brown, gently cover with with aluminium foil. Let the french toast cool for a few minutes and serve warm. Top with maple syrup if desired. Please note the cooking time may very because mine was partially frozen, it should take anywhere from 35 - 40 minutes. Just insert a toothpick in the middle to make it sure it comes out clean. Be sure you check out Udi’s Gluten free site to get the facts and more information on Celiac Disease. Just think 1 in 133 Americans have Celiac Disease. That is just horrible, but at least with companies like Udi’s there are still options to have your favorite foods gluten-free. 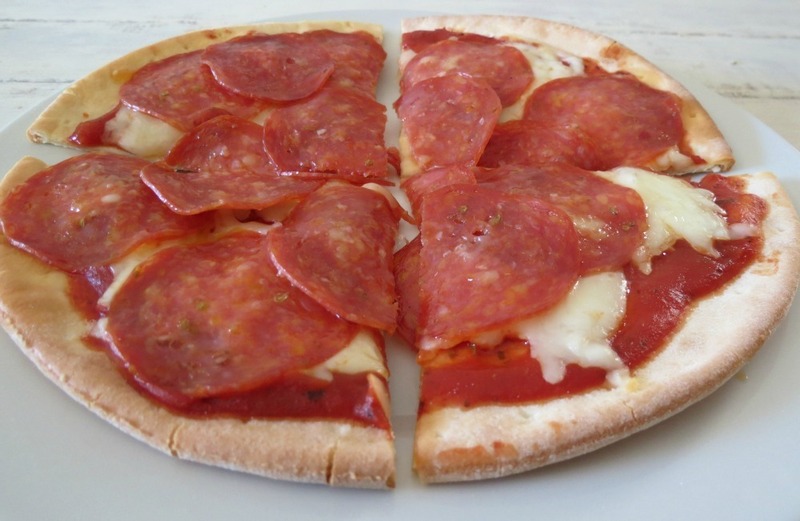 Oh, and speaking of gluten-free, Udi’s also sent me pizza crusts, and for a quick dinner, I made my Husband a cheese and pepperoni pizza and he loved it! I want to tell everyone to have a great day and send out a special thank you Udi’s for sending me all of your goodies to try out!! We have loved them so far and I can’t wait to dig in to the Snickerdoodle Cookies! Yum! I never thought of adding Greek yogurt to baked french toast. Sounds delicious. I’m going to have to try it. Oh you must try it! 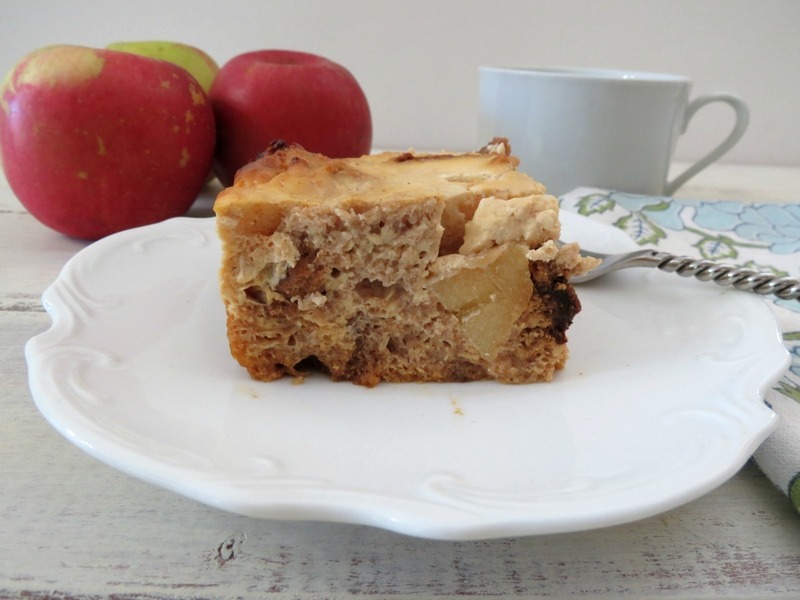 It makes it so sweet and moist, plus it gives it a nice kick of protein, which fills you up! Thank you Jennifer for this recipe! My husband was diagnosed with celiac disease a year ago and it has been a difficult and challenging journey for both of us. My kitchen is gluten free and I also chose to eat the same diet as him due to the cross contamination issues. I thank you raising awareness about the disease. I haven’t seen Udi’s cinnamon raisin bread yet but can’t wait to try it. Your welcome Carla! It must be hard for the both of you to go through. At least now you know their are options, more options then I ever imagined. I’m glad i can help and spread the word. I’m the same way with raisin bread. I could never eat just one slice. What a great way to use it – YUM! Thanks Chris! 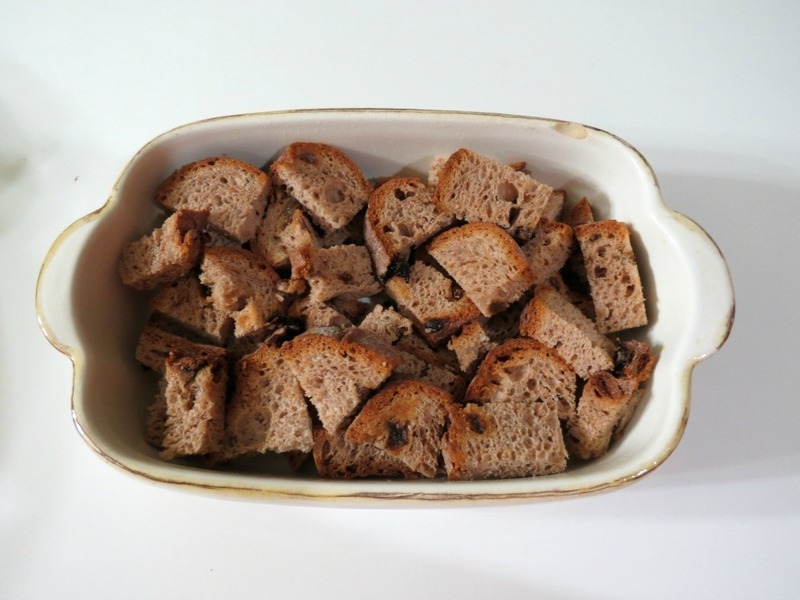 I love cinnamon raisin bread, it’s one of my favorites, so I’m glad to use it in a recipe and able to share. Thank you for this recipe and all the info, it’s always good to learn something new. I agree, and I’m always learning something new and if I can get enough information, I want to spread it to you! Good for you for being mindful of gluten, even though you don’t have to be for your own needs. 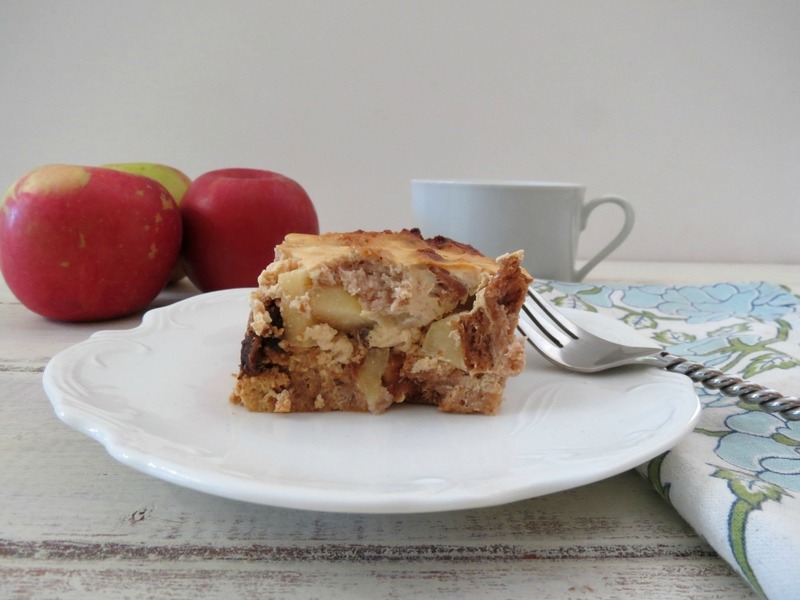 It can be hard baking GF but you certainly nailed this recipe! Ahhh, thank you! That means a lot coming from you!! Great recipe! I have two gluten free sisters, one very severely allergic, so it’s always great to know about good options for when they come to visit! Thanks Anna! I think your sisters will enjoy the Gluten Free Cinnamon and Raisin Bread! I like to try making some gluten free things every so often too. It’s hard to find good tasting gluten free bread. This french toast looks so tasty! I need to try baking my french toast sometime! It’s so wonderful that you are spreading word about celiac. one of my good friends has it and I try to kep a abalance of gluten free choices on my website. This french toast sounds and looks amazing! Thanks Sally! It seems so many people have Celiac, I am happy to spread the word. You would think I have been apple picking. You should see my fridge, I have about 30 apples in it. For some reason they keep accumulating and I haven’t even bought any of them! Looking very good Jennifer, found you on Twitter and retweeted!! Ahhh, thanks Tara!! I appreciate it! If using real eggs instead of egg substitute, how many would you recommend using? This looks very yummy, I want to try it! Hi, you would need 3 eggs. Let me know how you like it, if you make it. Have a great day!